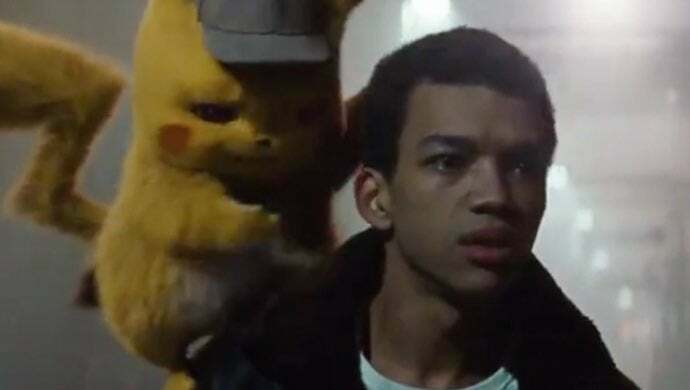 Detective Pikachu is here and ready to electrify fans with a new sneak-peek. After going live with its first trailer last year, the much-awaited film shared its first TV spot not long ago, and social media has lots to say. For those unaware, the first TV spot for Detective Pikachu went live just moments ago. The clip was shown during the NFC Championships, giving football lovers a chance to check out the live-action Pokemon venture. And, as you can see below, netizens have lots to say about the TV spot. The clip may be a short one, but it featured enough new footage to entertain. The TV spot begins with footage from the first trailer, but it moves on to newer pastures. Not only is a new look at Mr. Mime shown, but fans get their first official glance at Snubbull here. The Pokemon seems to be chilling with its owner at a police precinct, but Pikachu doesn’t have time to waste at the office. By the clip’s end, fans are shown as Pikachu and his new friend Tim to go sleuthing. The job gets a bit tense at one point, and it makes Pikachu a bit gassy. But, hey — at least the Pokemon has the manners to apologize to Tim for his “silent” and “deadly” gas. Below, you can check out the reactions have had to the TV spot. Fans seem to be loving the little surprise, but they do admit they want more. If Warner Bros. Pictures has a moment, it might want to prepare a full second trailer for the flick before long, and rumors are swirling these days that the studio is doing just that. So, will you be checking out this movie when it goes live? Let me know in the comments or hit me up on Twitter @MeganPetersCB to talk all things comics and anime! Just saw a real and actual commercial for Detective Pikachu like on tv amidst regular programming, and I just want to say. I'm actually very excited for it and I wanna see it in theaters, lmao. That #DetectivePikachu spot was magic and I want my own Snubble. did wr jst get a new #DetectivePikachu trailer during football....... bc not gonna lie im even more excited for this movie!! Ok just saw on TV for the first time the #DetectivePikachu trailer. I'm SO excited for @VancityReynolds as #Pikachu it's going to be electrifying. DID YOU HEAR THAT SNARL.